According to Union Labour Ministry statistics, the situation of unemployment in India is worrisome. As per its report, every day, 550 jobs are being eliminated. By tht count, 12 crore people have been being sacrificed at the altar of unemployment. And, as per International Labour Organization (ILO) data, during 2017, about 1.83 crore people were rendered jobless. Thereafter, in 2018, approximately 1.86 crore and in 2019 another 1.9 crore people are estimated to be rendered jobless in India. In the course of the election campaign in 2014, Prime Minister Narendra Modi had offered, through lofty promises, lots of hopes for providing employment opportunities. He had asserted that every year one crore new jobs would be created, but he could not do so after becoming Prime Minister. He failed in honouring his promise to the youth of the country. In fact, under his regime, unemployment is continuing to rise. In the wake of demonetization and Goods and Services Tax (GST), lakhs of people have been rendered jobless. Clearly, during his regime the problem of unemployment has not been resolved. 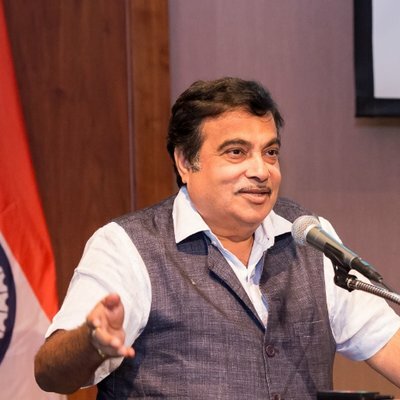 Nitin Gadkari, senior Cabinet minister of the Modi government, recently said, nothing would be achieved by chasing reservation. As a matter of fact, employment opportunities are declining. Where are the jobs? he asked. In further said, recruitment in government jobs has been discontinued. Jobs cannot be created merely by tall talk of development and industrialization. In the banking sector, because of IT-enabled working systems, job opportunities have been reduced. Ironically, another Cabinet minister, Ram Vilas Paswan, says that statistics of unemployment are a cause of concern. This is the real picture of the Modi government. The Prime Minister is simply incapable in creating job opportunities. Ministers of the Modi government have admitted that there are no jobs. But facts show otherwise. In the educational sector up to the secondary level 10 lakh vacancies exist. In higher education 12,000 are there. In police 5 lakh, in Railways 2 lakh, in health sector 1.5 lakh, in armed forces 1.25 lakh, and in judiciary 6,000 of posts are lying vacant. But the government has not pronounced reasons for not filling up the posts. Looking at the situation prevailing in Gujarat, as per records available from district employment exchanges, highly educated, educated and semi-skilled persons have not been able to secure jobs in either government or private sector. As per the information tabled in Parliament during the assembly session in March 2018, the tall talk of providing government jobs to 70,000 persons in a year has not turned out to be a reality. During two years, just 12,869 persons have got jobs. As on date, considering figures of all the employment exchanges in all the districts of Gujarat, approximately 5,37,563 persons are registered as jobless. Claims were made at the Vibrant Gujarat world business summits, organized by spending crores of rupees, for creating lakhs of jobs with the help of capital investment. During the summits, it was announced in 2007 that 13,12,436 jobs would be created, followed by 2009 another 29,81,021 and 2011 an additional 60,00,000 jobs. As against this, 55,463 jobs were created after the Vibrant Gujarat summit of 2007, and 3,84,954 jobs after the summit of 2009. This is the position of employment situation in the “model state” of Gujarat. Ironically, even 100 days employment is not provided under the Mahatma Gandhi National Rural Employment Guarantee Scheme (MGNREGS) in Gujarat.